It’s the perfect place to browse hundreds of the year’s new vehicles! 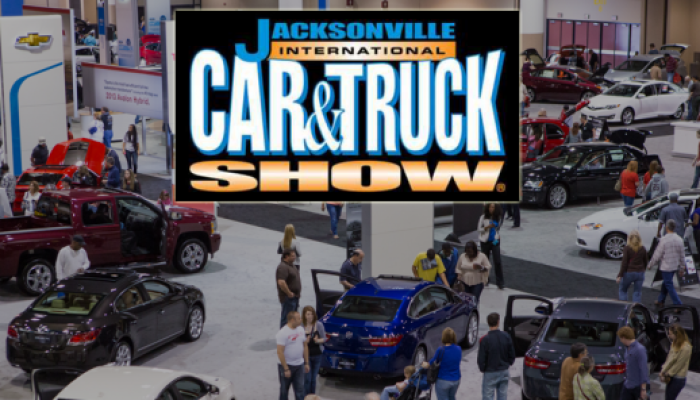 Located at the Prime F. Osborn III Convention Center, the Jacksonville International Car & Truck Show is the premier showcase of the newest model year import and domestic vehicles — cars, vans, crossovers, hybrids, light trucks and sport utilities. Factory and dealer representatives from the car lineswill be in Jacksonville to answer your questions in a no pressure environment at the Auto Show. There are autos to suit every budget and lifestyle at the Car & Truck Show. With the car lines all under one roof, it’s easy to compare prices and features, saving both time and money. So come sit in the cars, pop the hoods, inspect the trunks, kick the tires. The Jacksonville International Car & Truck Show is great entertainment for serious shoppers, auto buffs and the entire family!